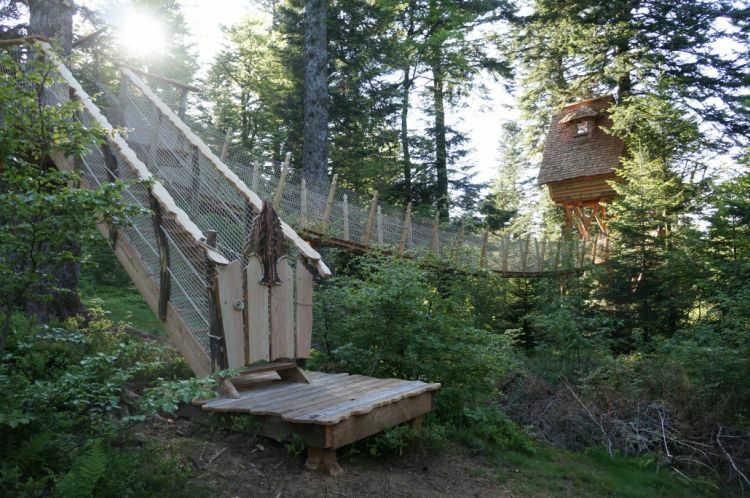 Located in the very heart of France, Auvergne is a unique area with a well-preserved natural environment, offering its visitors a real treat for body and mind thanks to its monumental volcanoes, the quality of its products, the purity of its springs and the sheer vastness of its landscapes. 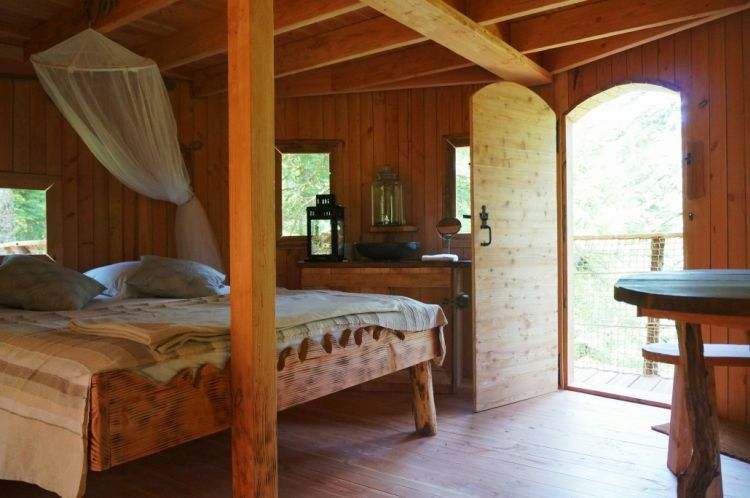 Auvergne is also home to charming villages, impressive castles and Romanesque churches. 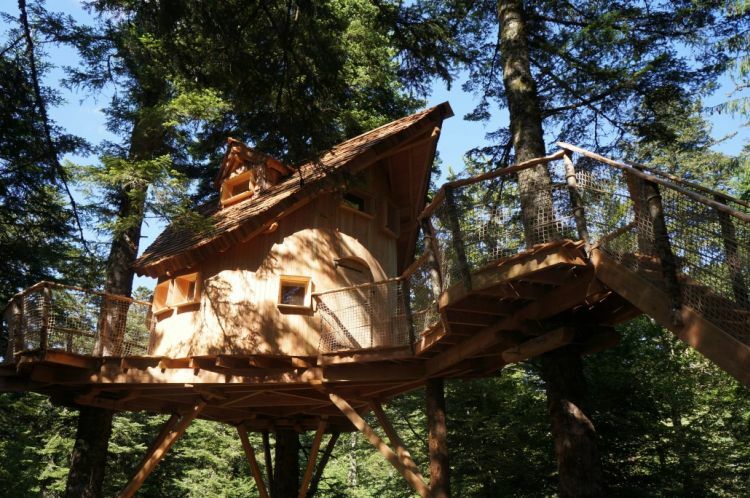 Auvergne is a couple of hundred miles from the glamorous resorts of the Alps, but it feels a million miles away. 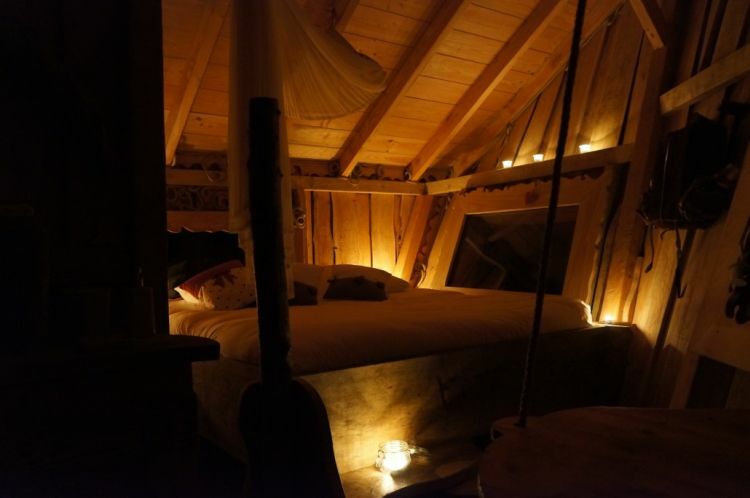 It does not boast luxury chalets or hotels, nor a single fashionable après-ski bar or club. 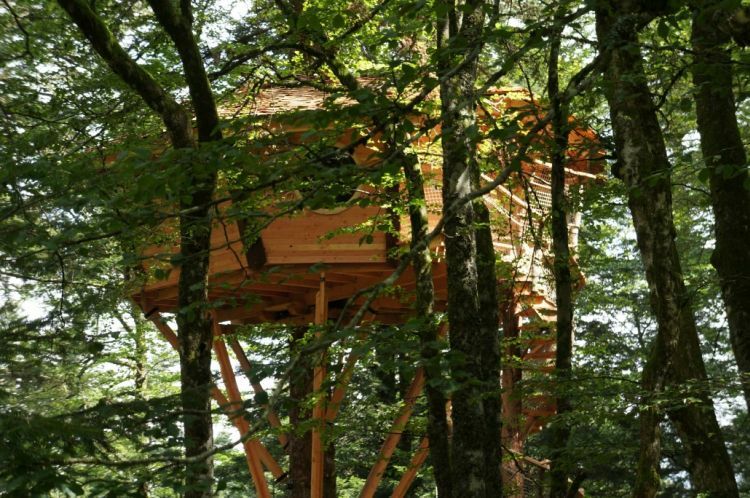 But the Auvergne is one of France’s secret holiday destinations, offering a variety of places to relax in touch with nature. 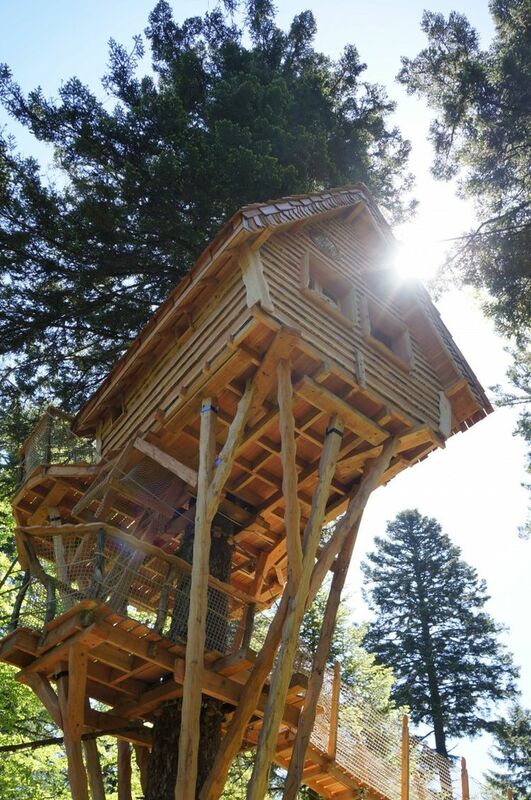 More than just wild and unspoiled areas, the regional nature parks in the Auvergne provide valuable natural refuges, ideal for green tourism and sustainable tourism activities. 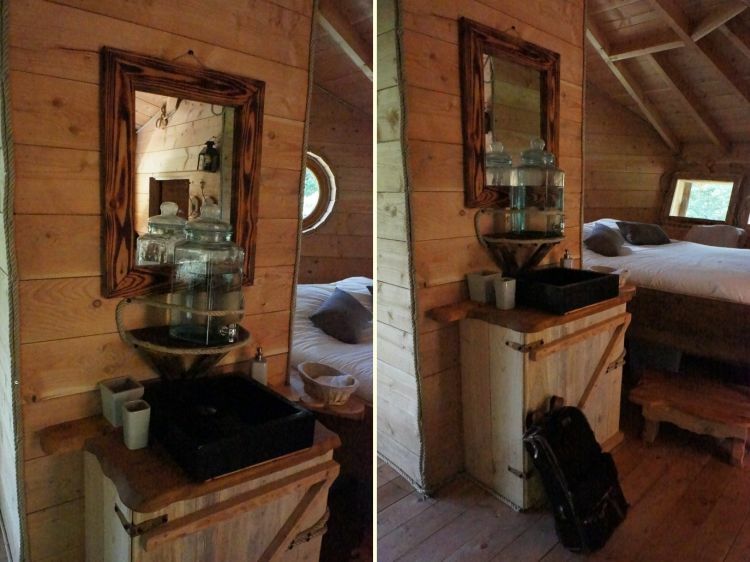 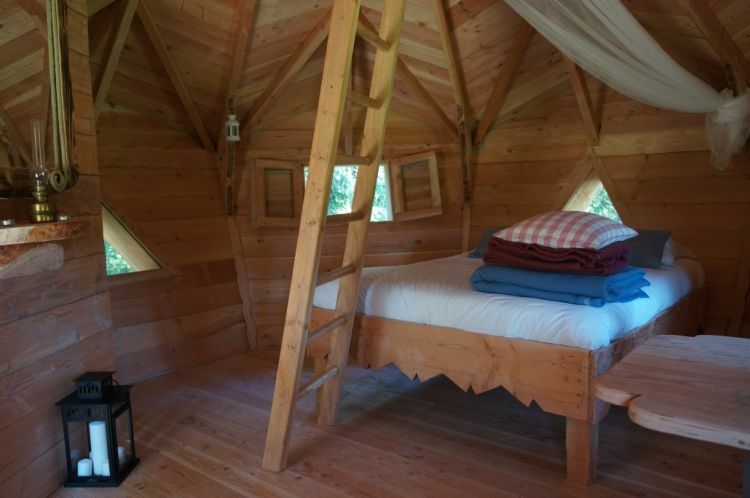 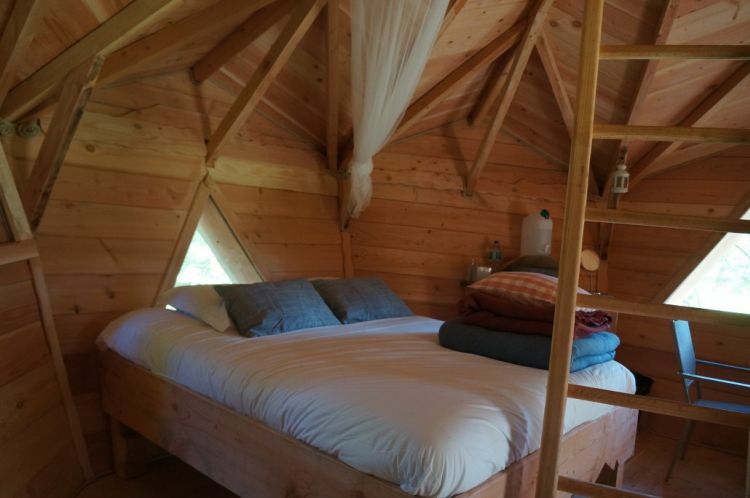 Whether you are staying as a couple, with your family or with friends, one of the most beautiful places that you can choose for accommodation is Les Cabanes des Volcans, a spectacular touristic complex of five cabins perched in the trees in the heart of the Regional Park. 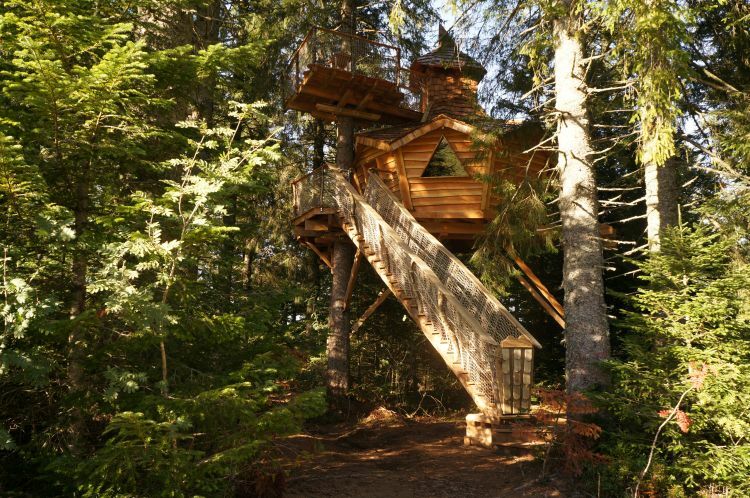 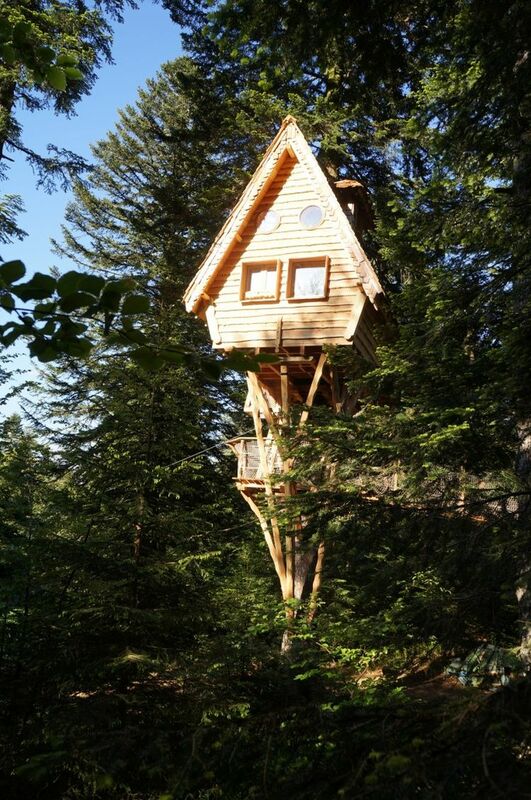 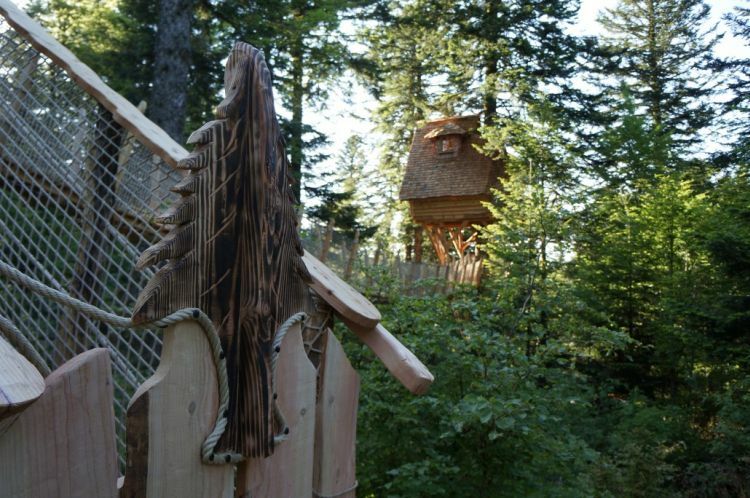 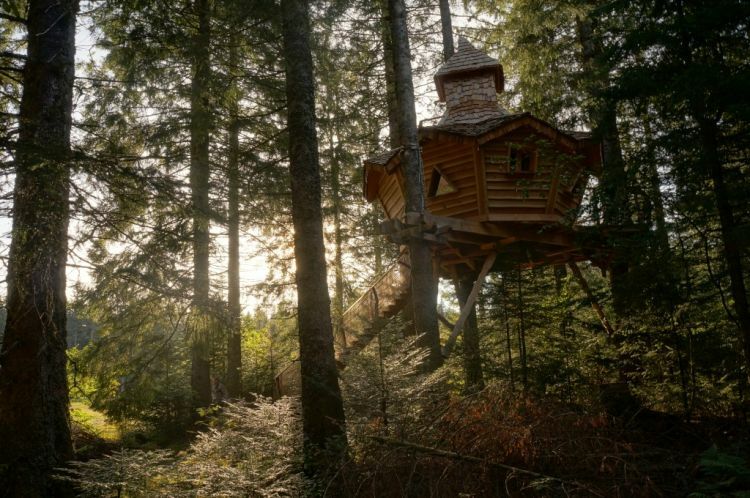 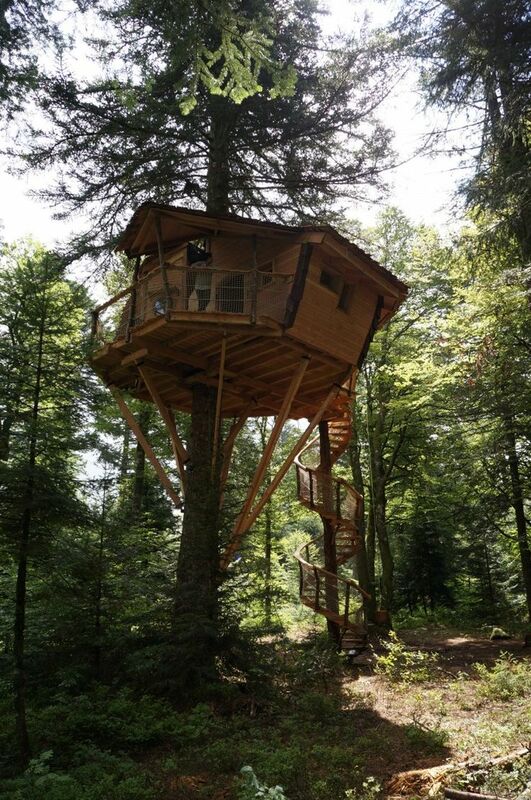 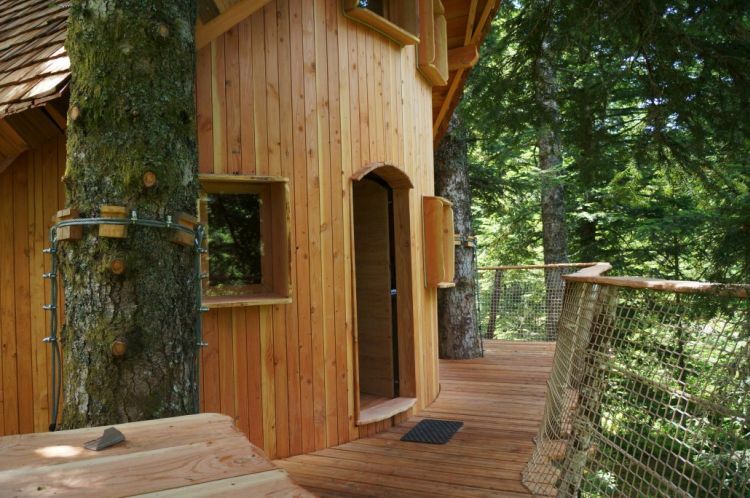 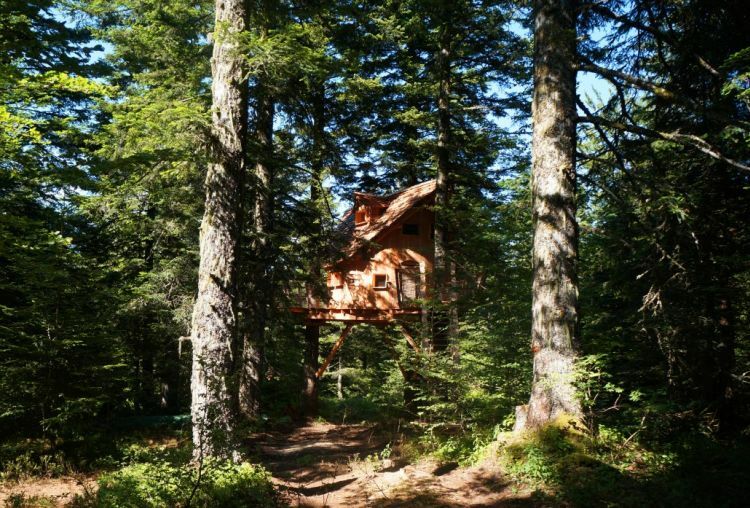 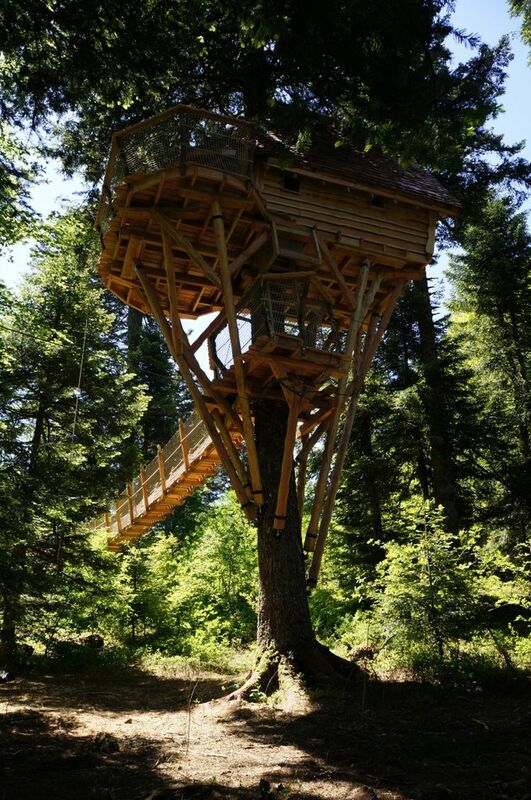 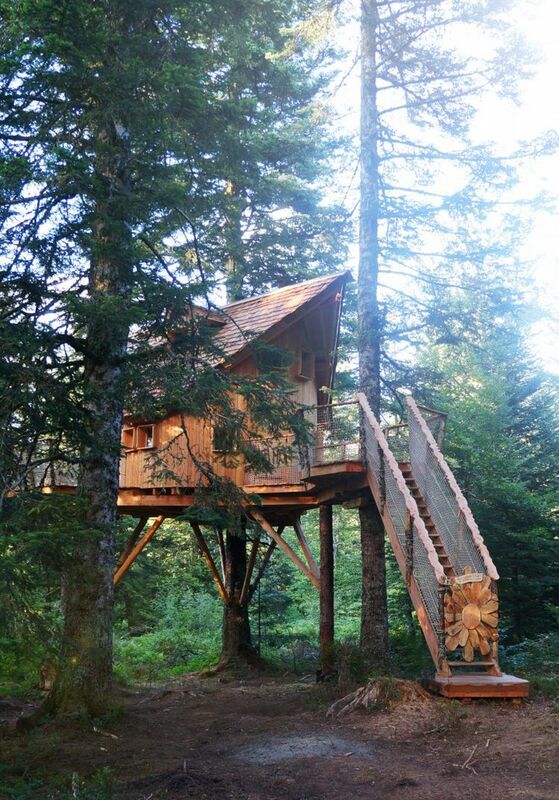 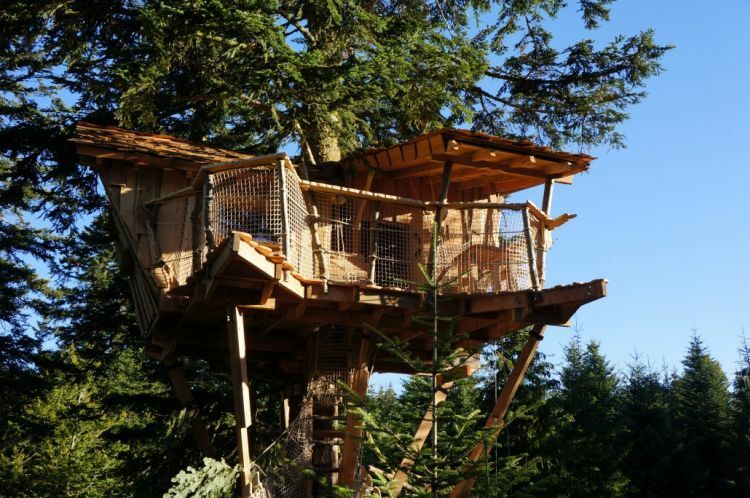 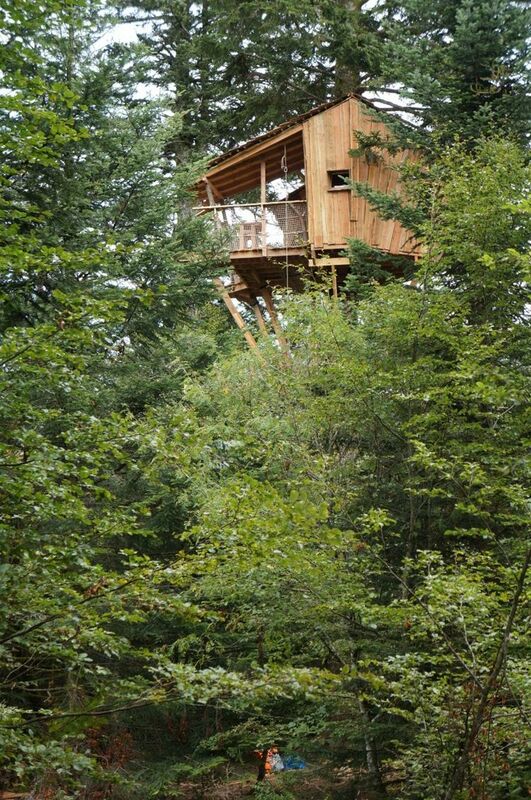 These fairytale treehouses are environmentally-friendly and offer a bird’s eye-view of some of the most stunning scenery in France. 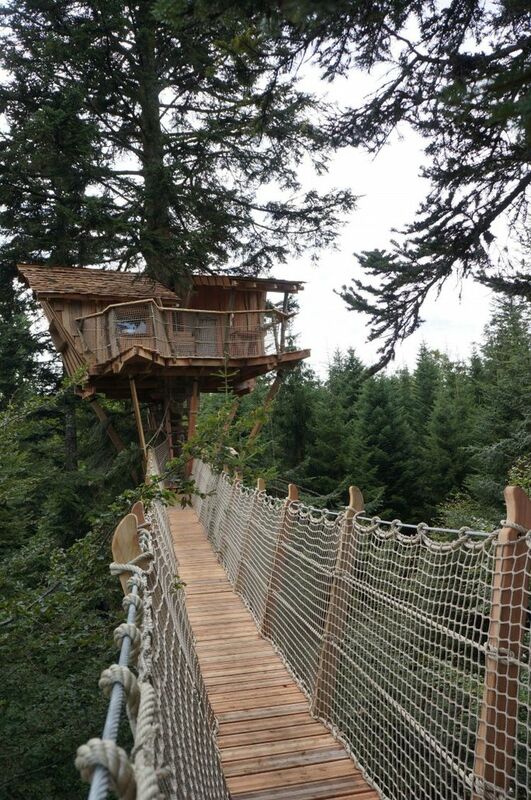 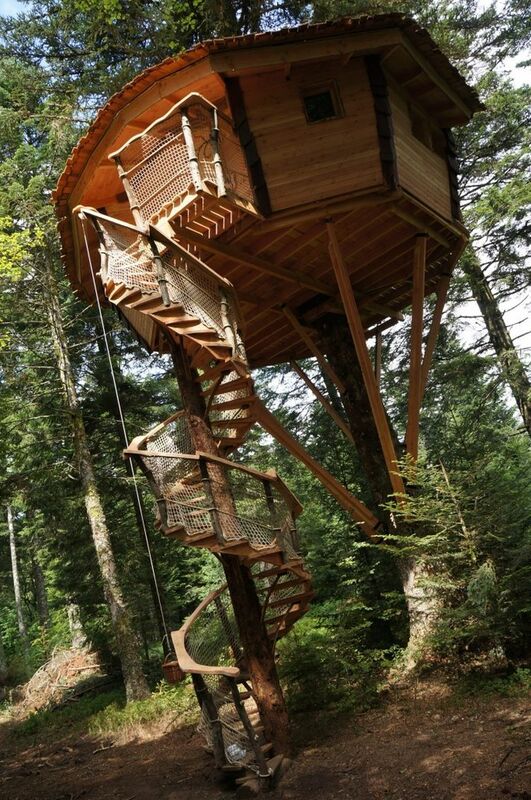 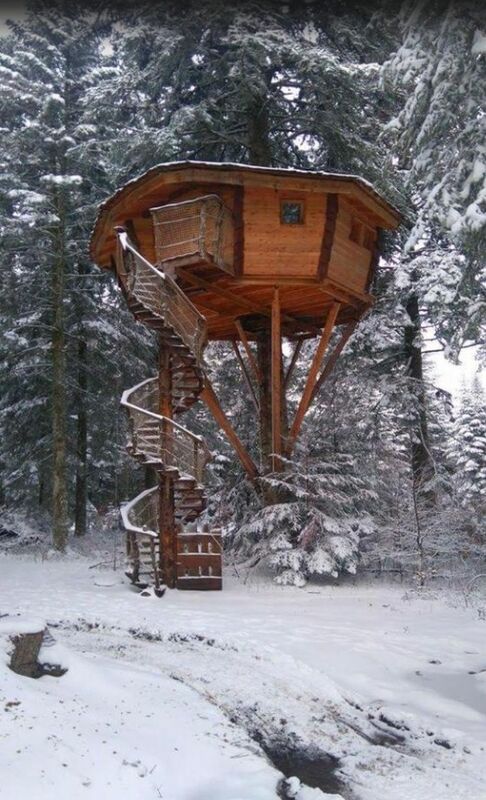 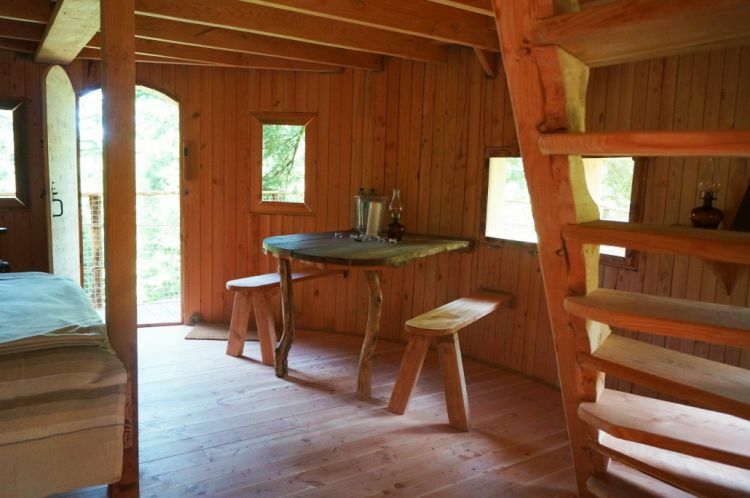 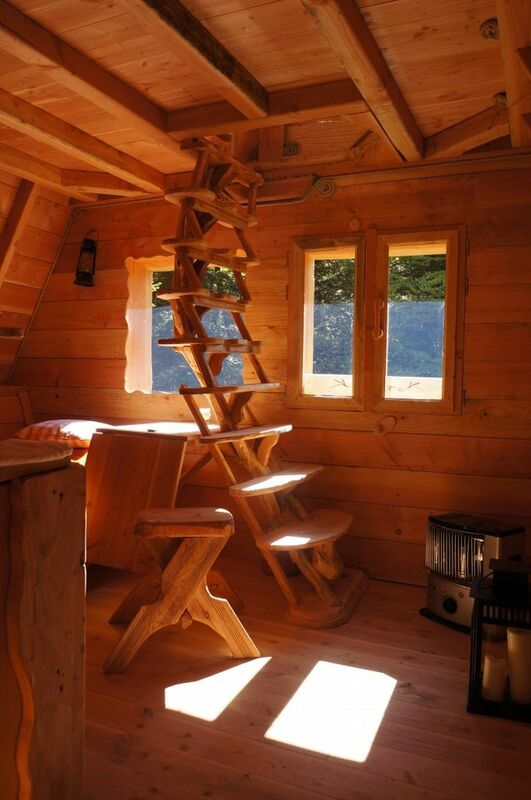 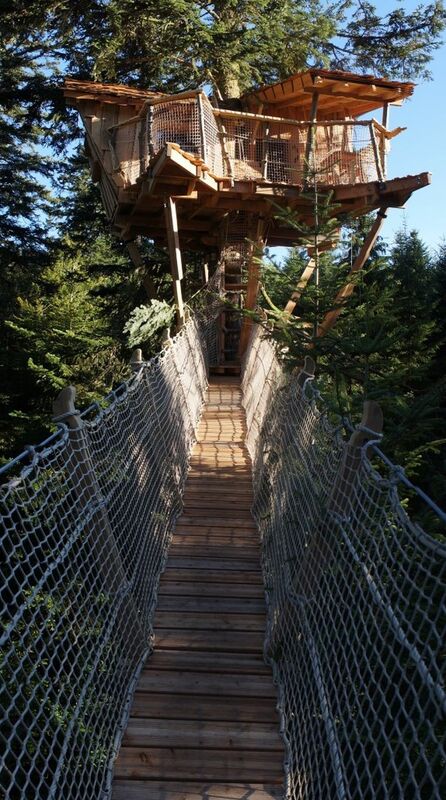 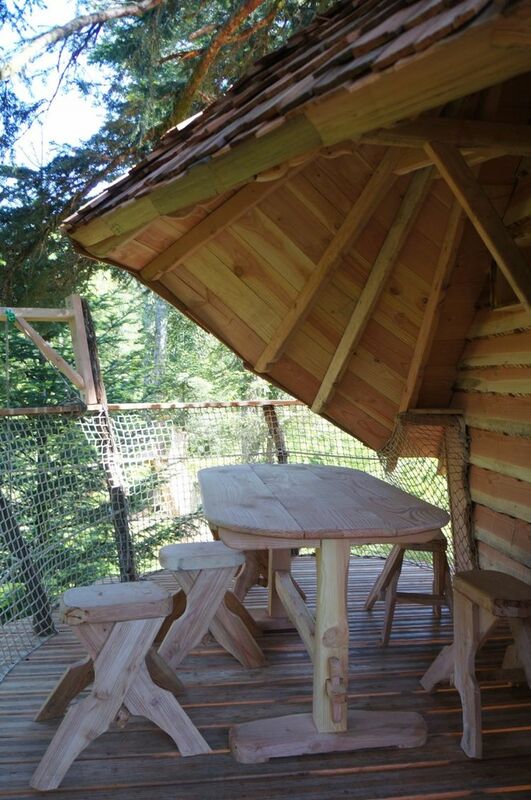 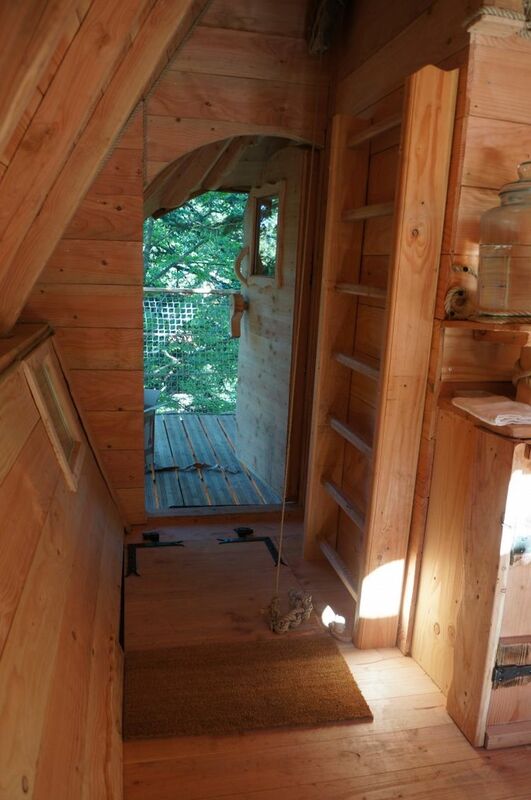 From 4 to 12 meters high, the cabins are accessible by spiral staircase, ladder or bridge. 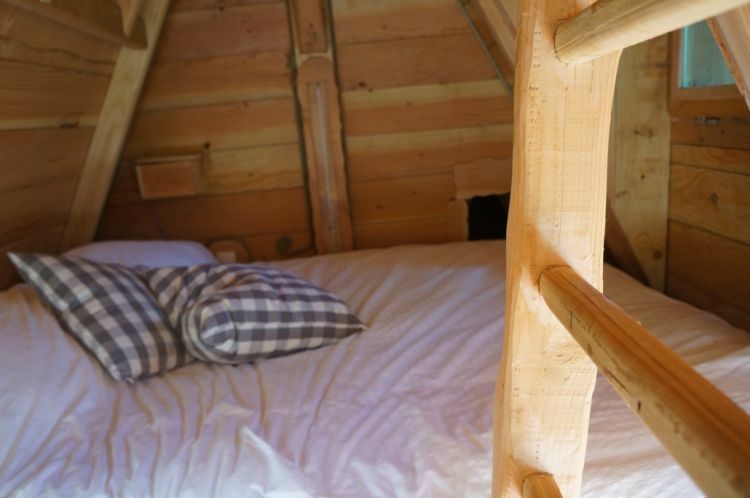 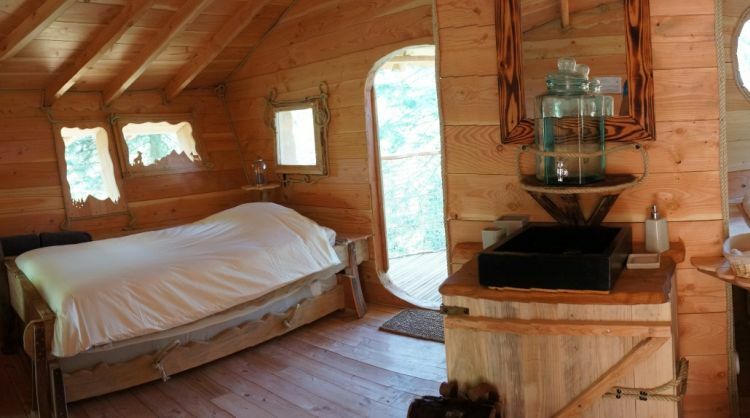 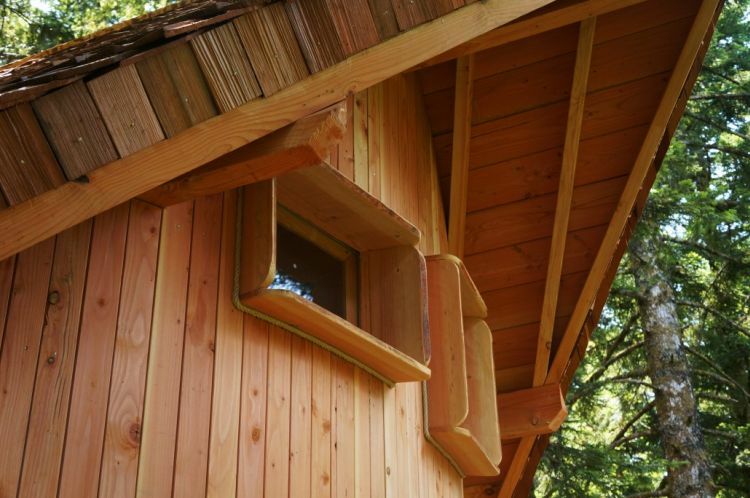 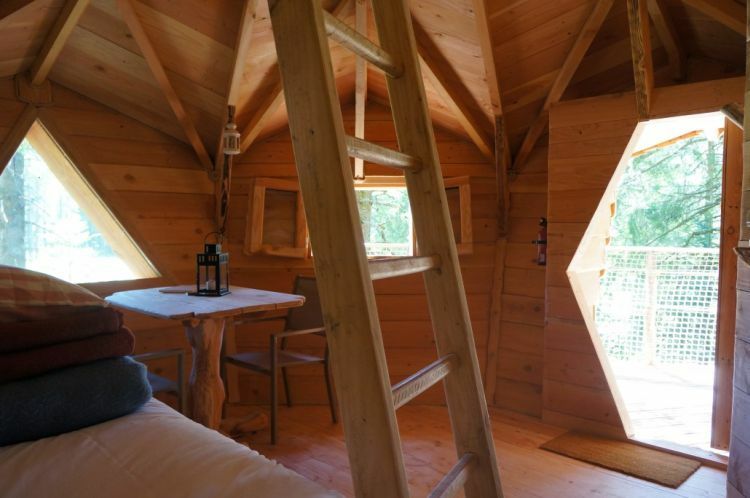 The arboreal refuges are equipped with toilets and heated, so you can enjoy the peace of the Auvergne peaks and sleep closer to the stars in all seasons. 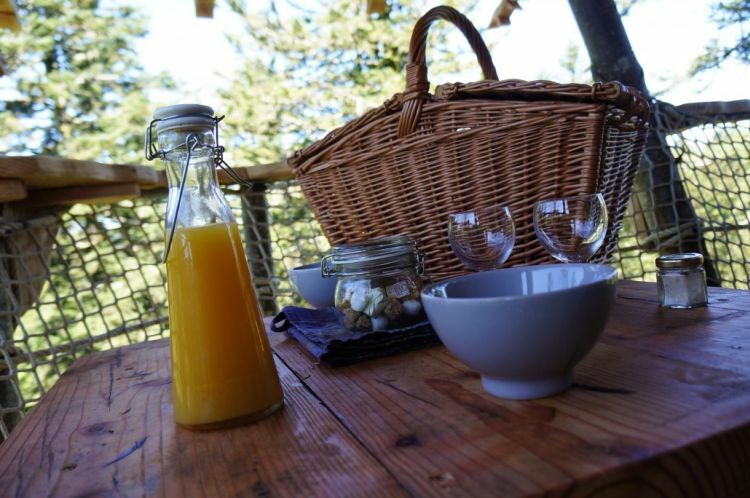 Les Cabanes des Volcanes also offer catering options with local products, so you’ll have to the all the delicious taste of French cuisine on your plate! 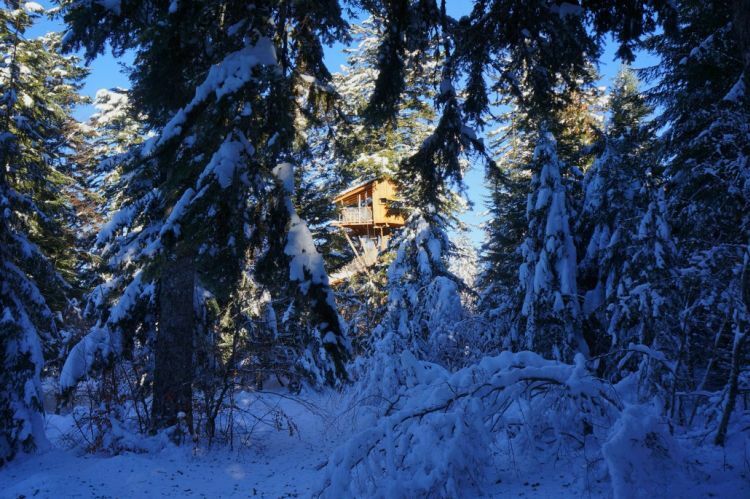 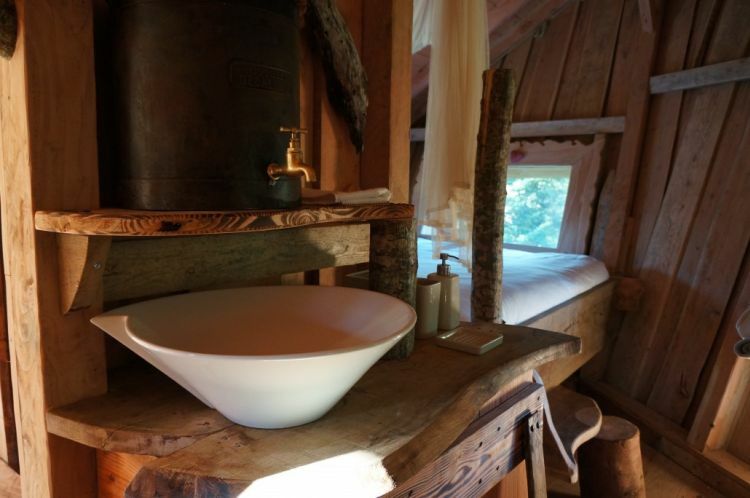 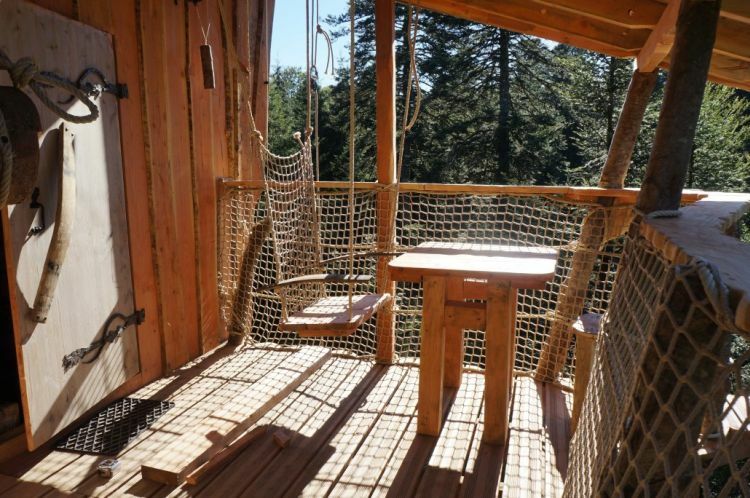 Check out the magical treehouses in the image gallery below and click here to make your reservation for a dream holiday above the ground!